Summary: This is the thrilling second chapter in the electrifying "Angel Trilogy". Angels will never be seen in the same way again. Gorgeous, charismatic Alex has the courage and skill of a trained Angel Killer. Unique, dazzling Willow has the beauty and power that comes with being half-angel. As the power of the malevolent Church of Angels grows, now it's up to Alex and Willow to train a new team of Angel Killers. Review: I'm sure you all agree that we have been holding our breathe for this novel. So once again I opened the pages to Willow and Alexs world I fall in love with the story all over again. 708 pages of pure perfection. Willow and Alex are back! And even more in Love than before. You expect nothing to come in their way of love but could it? Who could possibly be able too? That thought I had running through this entrancing novel from beginning to end. This is a book for all tastes. This skilfully craft novel contains some history, mysticism, mystery, intrigue, humor and romance in a neat package that is not just entertaining but challenges your mind and imagination. You can defiantly see L.A Weatherly has done her research from the amount of detail to the amount pages. I think its descriptive and effective. Lee has created word images so vivid that it is almost like watching a movie. She takes you for a romp through beautiful Mexico as an AK team trains and finds themselves in a action packed suspenseful event with the evil Angels that had my heart facing and had me excited from beginning to end. Lee has written Willow and Alex's scenes so beautifully and romantic that I had myself swooning through out. So much detail and love has been put into these two characters and you can defiantly see that while reading. Sometimes heat ache but sometimes glorious. Just when I couldn't love Alex enough another amazing guy comes along. Another fascinating memorable character who totally grabs your attention through out. Seb the half Angel. His good-looks and charm will have you second guessing your love of Alex its defiantly the case of teams. I think Lee has written him wonderfully and every time I turn the page I was hoping the scene had him in. There are few new enticing characters in this novel I would be here all day if I talked about them all but I will say this. If you like heroic, challenging, attractive funny characters then this is the book for you. Once again I love how it changes to different characters point of views. I think Lee did this so effectively and really made the characters not at all two dimensional. 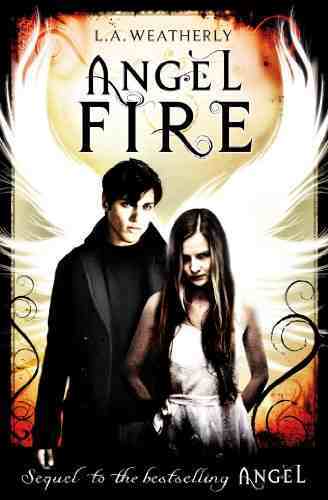 The plot is once again just as amazing as the first novel Angel/Angel Burn. Better in fact. It was cutting edge, suspenseful and sometimes spine chilling. I think Lee has once again written a jump out of your seat novel. Such a fascinating memorable read that I will never forget. Bring on Angel Fever. Super excited about this book Casey! Thanks for the review! Great book, easy reading. Great characters.I loved how the love in between Alex and Willow develops slowly and how they both learn to accept that there is good things and bad things about each other. Loved the book. Great story and can't wait for the sequel. Did you know the author thanks you guys especially in the acknowledgements? So cool. Wow! It was so fascinating, I will really recommend this book to my bestfriend she will surely love it.